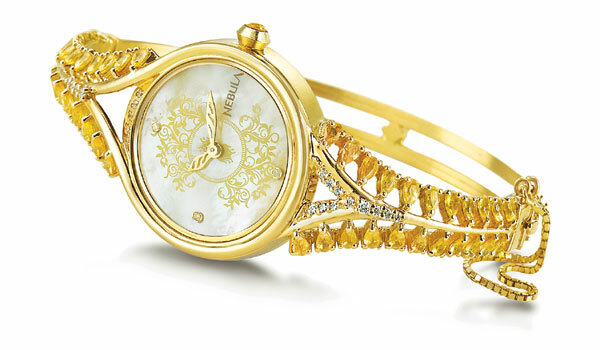 Titana��s Nebula range has a new line that uses 18 carat gold and precious stones like diamonds, rubies, yellow sapphires and pearls in a delicate yet luxe manner.A� Each of the watches represent fine craftsmanship and are designed like kadas and bracelets. If you are looking for a gift that holds its own at weddings . Rs 29,000 onwards.